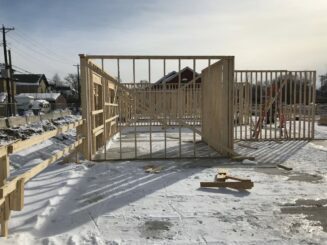 Finalizing details for the leasing and marketing office to be opened on April 1, 2019. 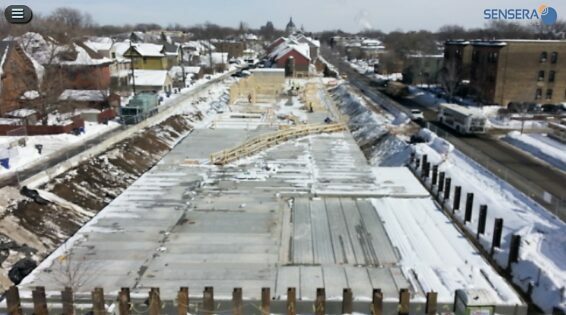 Construction has been delayed numerous days due to February snowstorms and sub-zero temperatures. Those of you not in Minnesota during this time, congratulations! 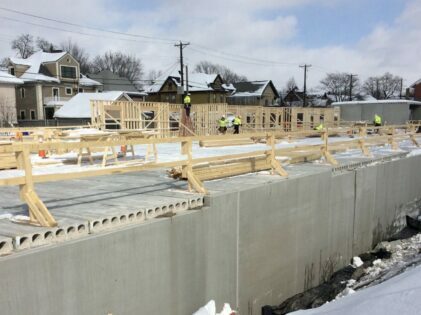 All precast work, foundation walls and deck are completed. 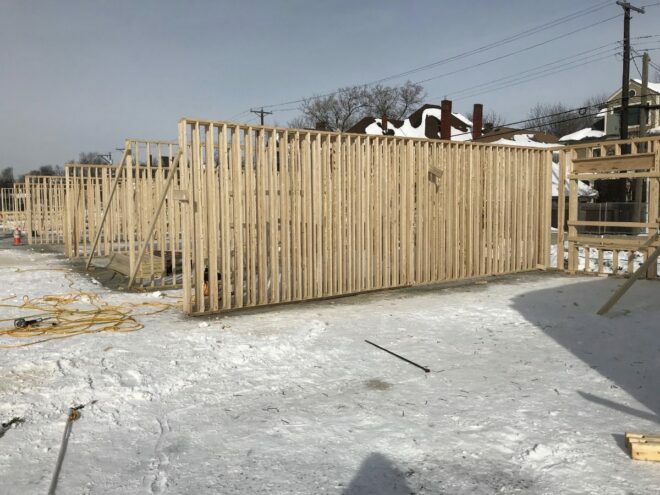 Wood framing started February 25 and will continued for the next 14 weeks. 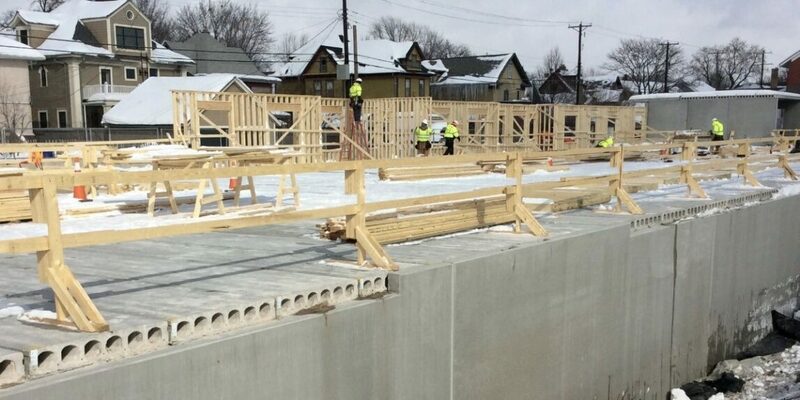 We are stick framing the east half of main floor and the remainder of the four story building will be panelized. 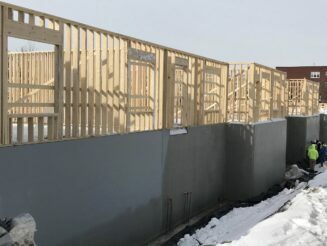 Waterproofing the exterior foundation walls. Anticipate garage underground plumbing to begin mid-March. Previous Previous post: Careers at Premier!